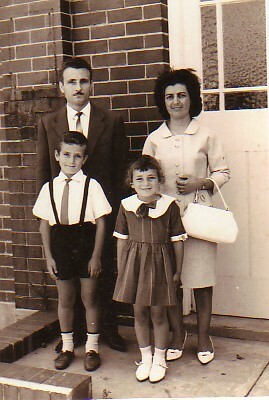 Above: My parents, Mihalis and Ekaterini, with their children. 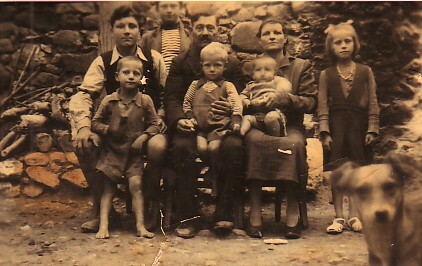 From left, we are: myself, holding my brother, Theologos; Andonios; my father holding Vangelis; my mother is holding a relative; and Anna. Above: At the panygiri of Agios Ioannis the Theologian (May 8)1955. 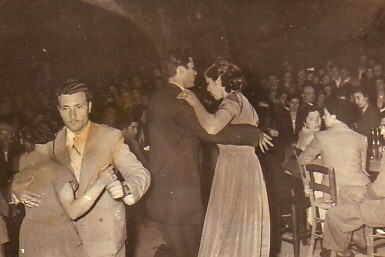 I am dancing with my wife, Niki, and next to us is Ioannis Klidaras dancing with his sister, Christina. 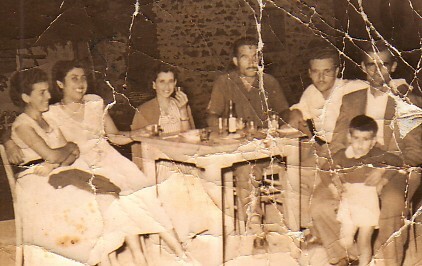 Above Right: Skala Eressos, 1956. From left we are: my wife, Niki; Eleni Giala; Irini Deriloglou and her husband, Gavrilos; myself; Anestis Gialas and his son Elias. 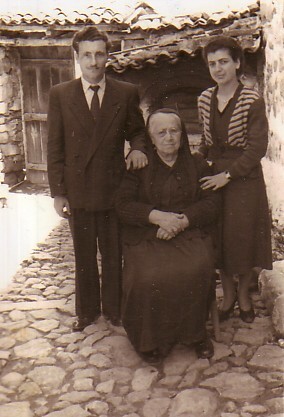 Above: With my wife, Androniki (Niki), and her adopted mother, Androniki. Above: At the Antissian Association od Sydney's 30th Anniversary Ball, where I was recognised for my contribution to our Association. 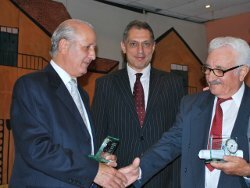 L-R: Panafiotis Dalgitis, who was also recognised for his services on the Night, State Minister, John Hatzistergos, and myself.